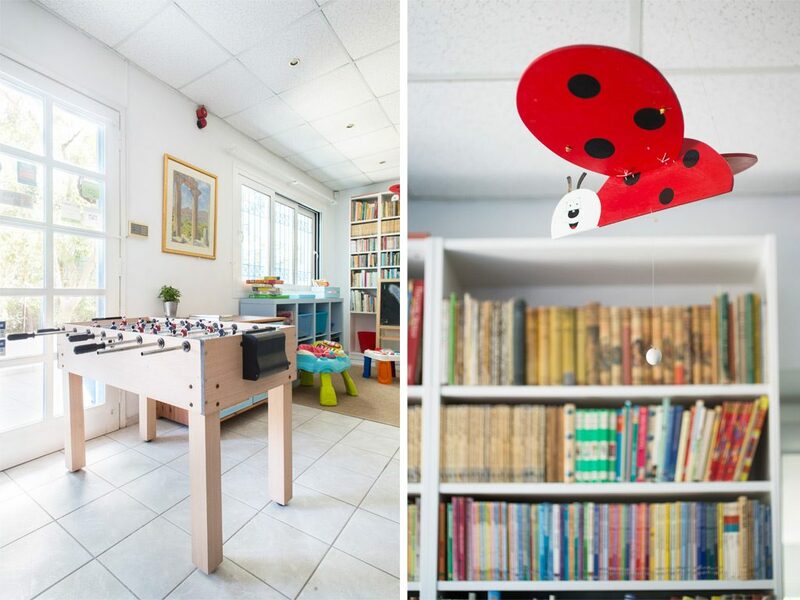 On the ground floor are the reception, guest WCs (with baby changing station and disabled WC), a literature library with books in Greek, English, Dutch, German, Italian, French and Russian, a small travelbook library, a notice board with the area’s cultural events/excursion suggestions/public transport timetables, a recycling bin, a collection of games and cards for children and adults, a recreational corner for children and the breakfast room and cafeteria, equipped with TV and DVD, a piano, two guitars (classic and accoustic), percussions and a children’s flute. 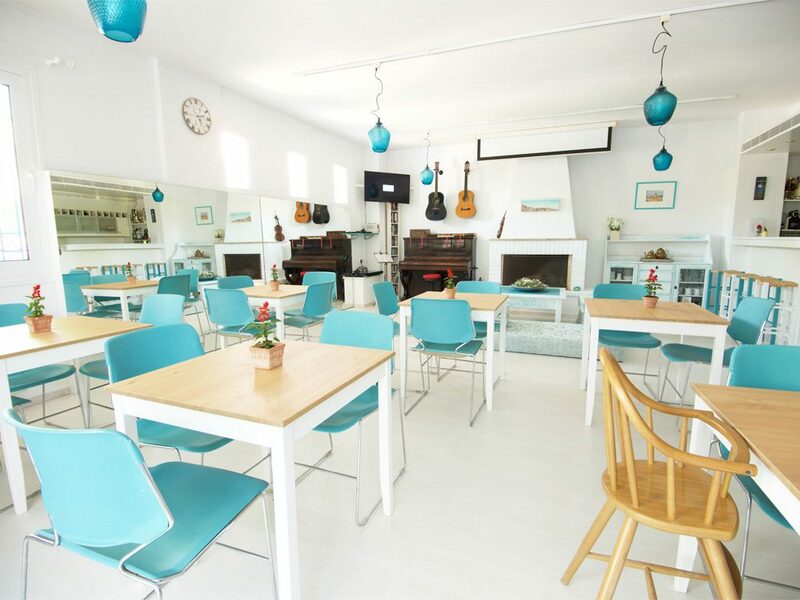 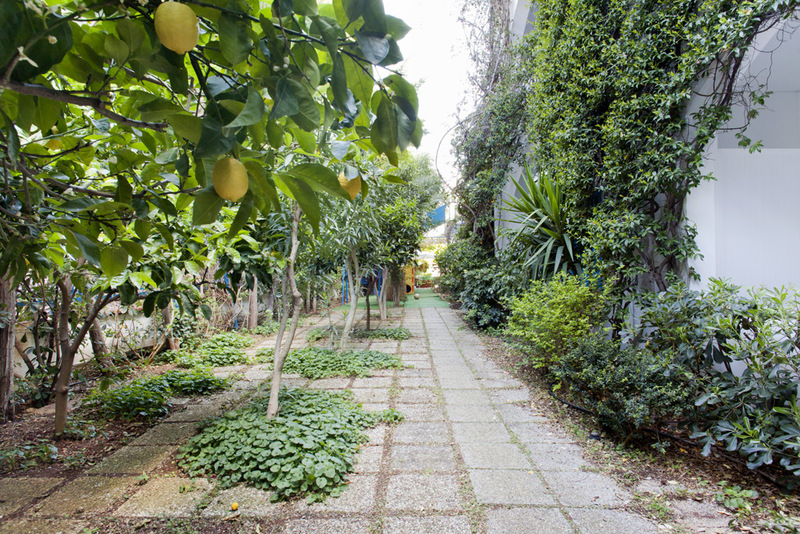 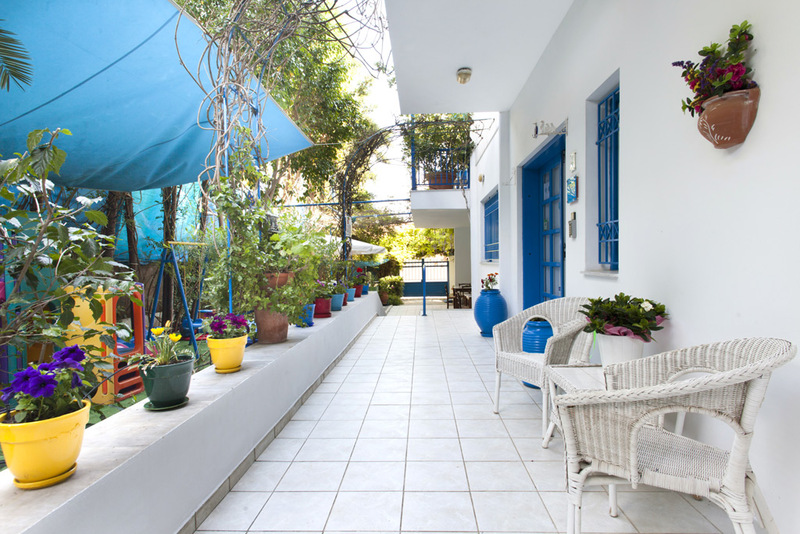 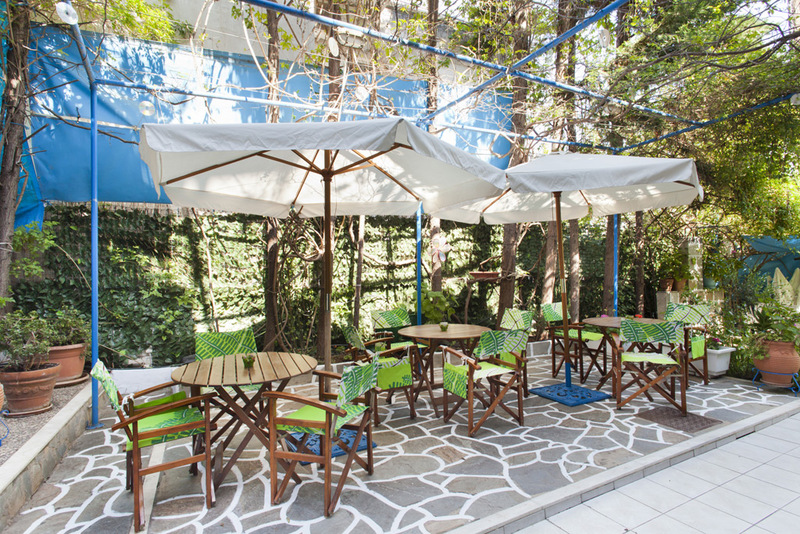 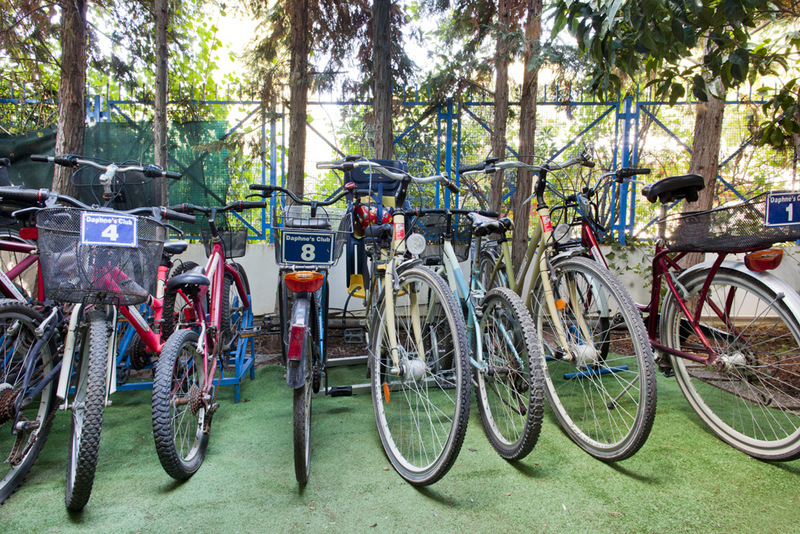 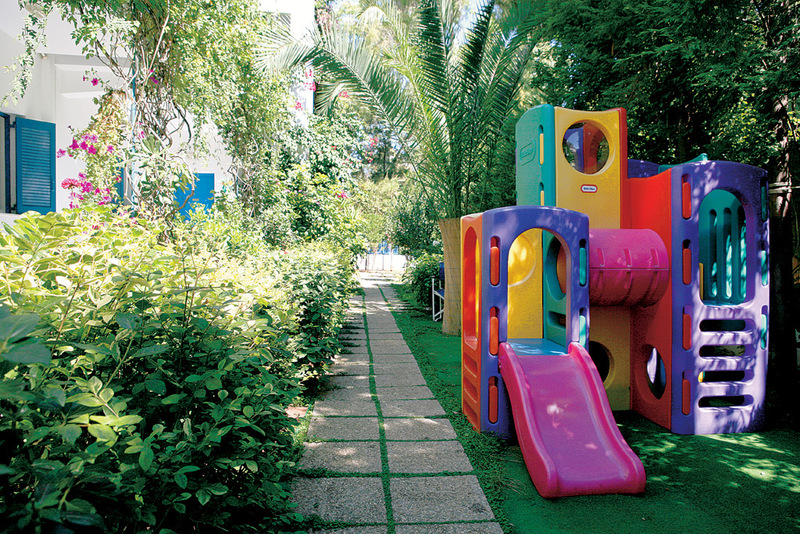 In the garden there is a children’s playground, tables and chairs where guests can also take their breakfast, a bicycle house with free bicycles for our guests, and a luggage loading and unloading area. 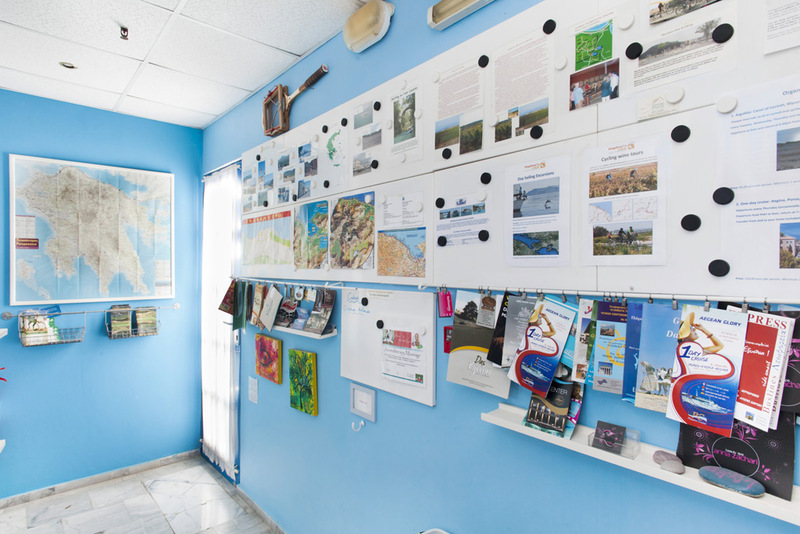 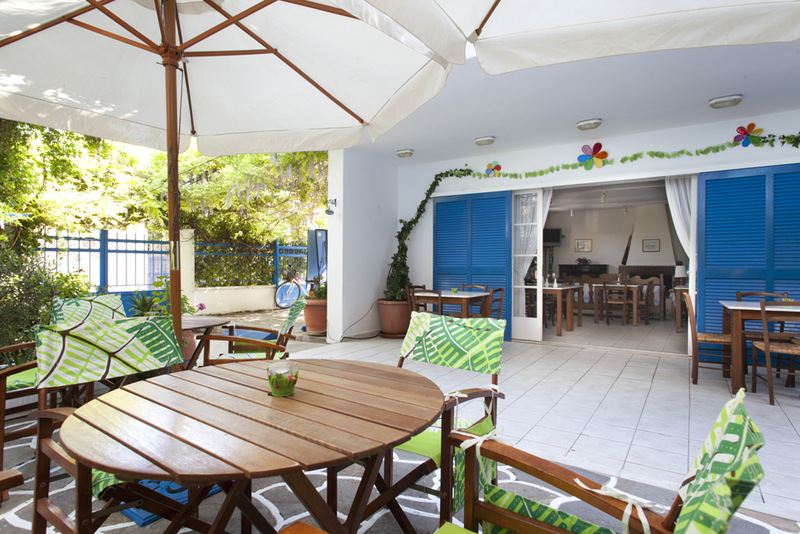 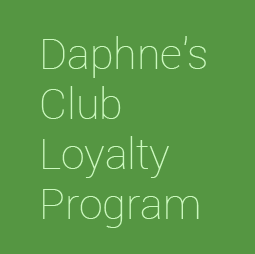 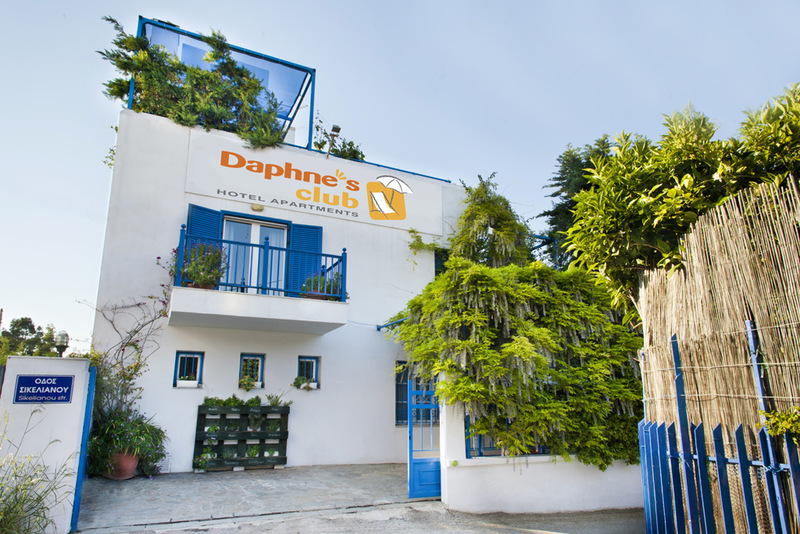 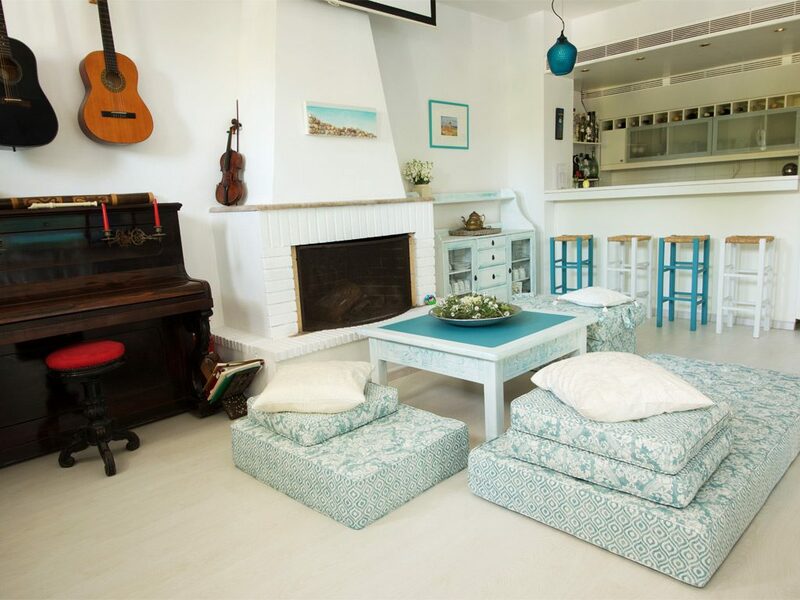 At Daphne’s Club you will find, without extra charge: wireless internet access, a WiFi printer, beach umbrellas, beach chairs, yoga mats, nordic walking sticks, cards and other games, musical instruments, table tennis, tennis and beach rackets, reusable shopping bags, bicycles, excursion information, recycling bins and much more! 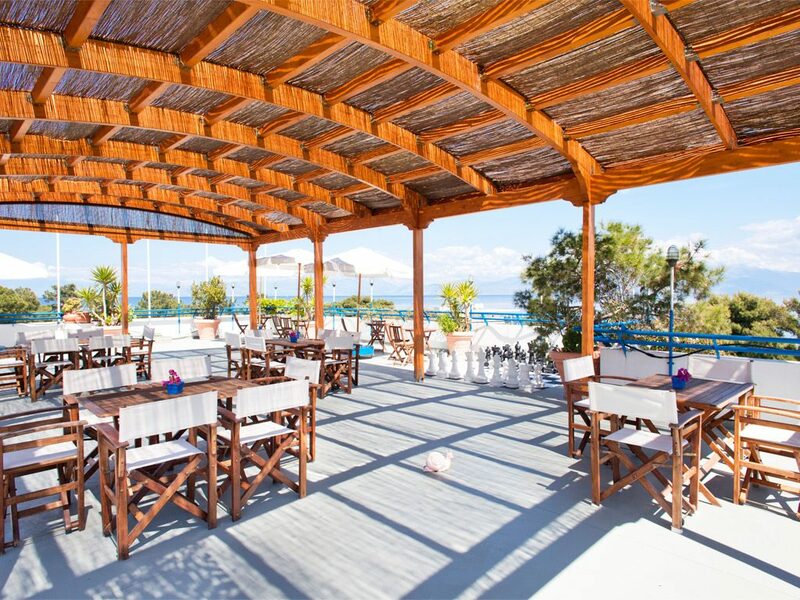 On our roof garden you will enjoy splendid 360 degree views of the Gulf of Corinth and the mountains of mainland Greece to the North and West, the mountains of Corinthia to the South and the cities of Corinth and Loutraki to the East. 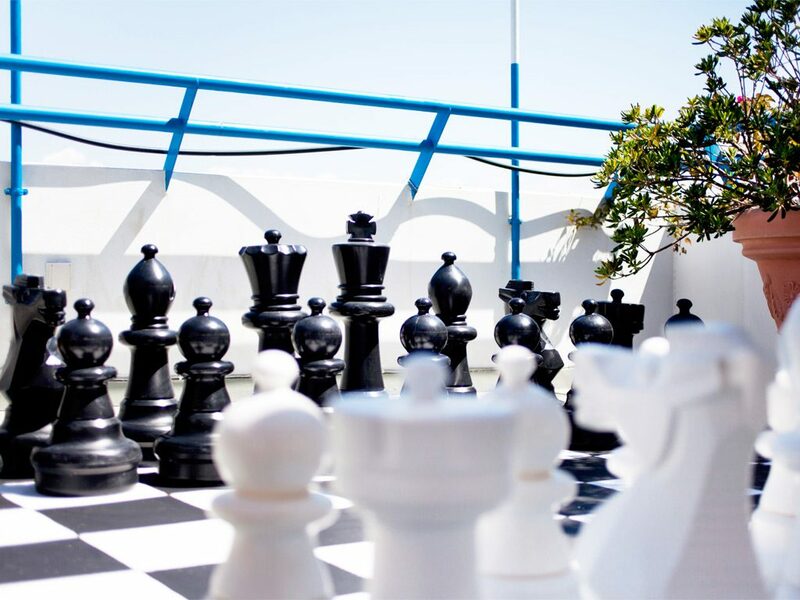 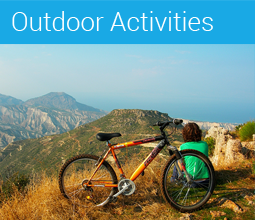 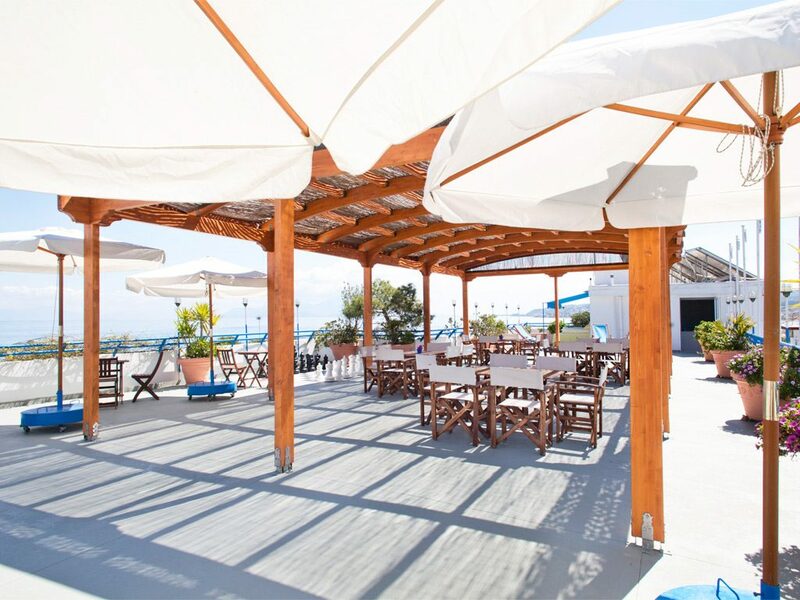 Here you can relax on our sunbeds, bring your family dinner, play ping pong or giant chess! 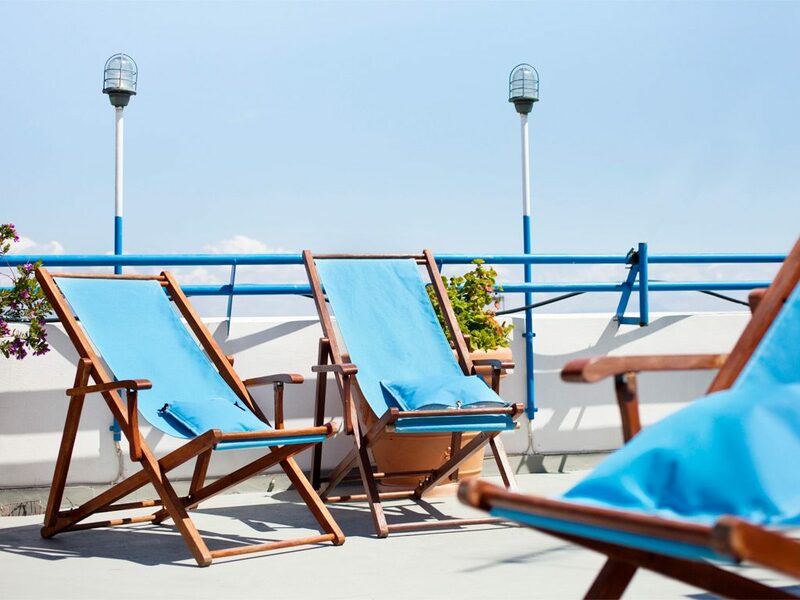 … because we are an eco-labeled hotel which uses eco-labeled cleaning products, therefore ensuring an environment that is safe from hazardous chemicals for all the family! 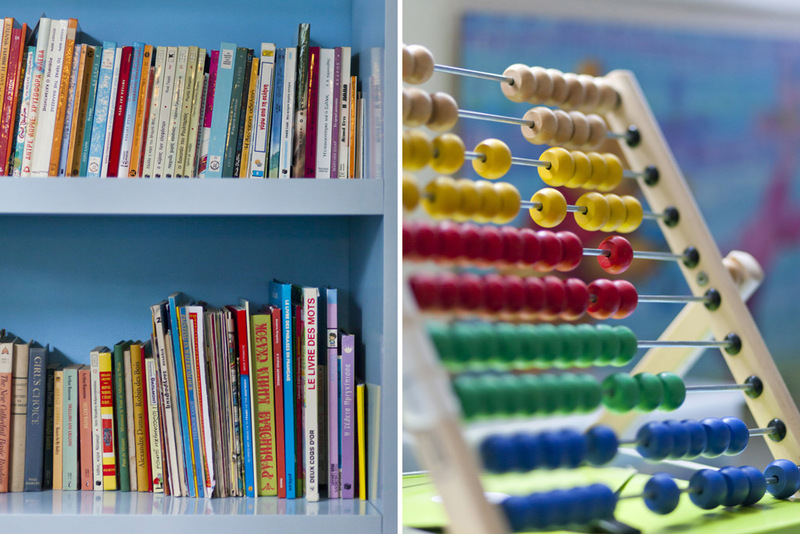 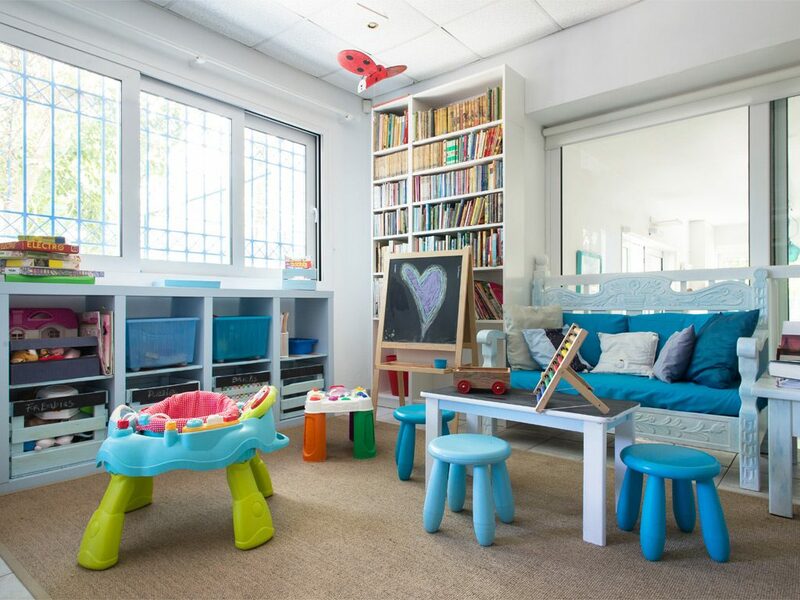 Read more about our baby and child amenities.